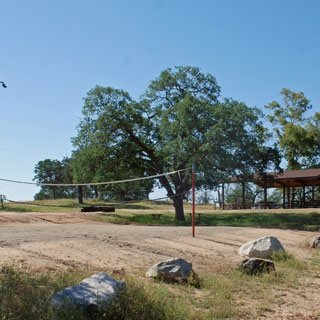 Campground includes 3 standard equestrian campsites for up to 8 people and 2 vehicles at each site. 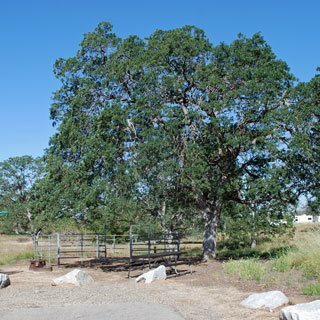 The campground has hitching posts, corrals, and composting stations available. Codorniz Campground includes 3 group campsites. North A campsite can accommodate up to 40 people and 12 vehicles, North B up to 100 people and 25 vehicles, and South up to 160 people and 50 vehicles. 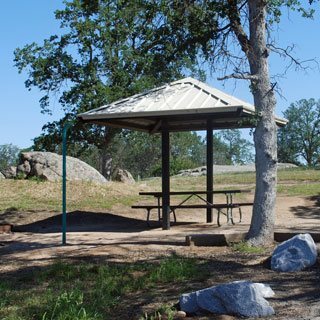 The campsites have covered picnic shelters and 10 amp power available at the shelters for heating food and coffee. There is no power available to RVs or trailers. At the South Campsite two 20 amp outlets are located in the parking area for medical equipment needs. The South Site includes a volleyball court, while North B has a horseshoe pit. Eastman Lake's warm water attract visitors year-round. For those camped at Codorniz Campground or nearby Wildcat Campground comfortable campsites make the lake stay a pleasure. Fish for bass, crappie, bluegill, catfish, and rainbow trout. Boat and waterski in this wide lake known for its warm water. Take advantage of launch ramps with courtesy docks located in the Chowchilla and Codorniz recreation areas. Visit points of historical interest around the lake, including Native American sites and a monument to the old copper Town of Buchanan. Hike, mountain bike, or horseback ride along miles of trails.